The United Nations Development Programme presented a Special Award of Recognition to His Majesty The King to honour His Majesty’s leadership in advancing human development and the wellbeing and happiness of the people of Bhutan. The United Nations Development Programme presented a Special Award of Recognition to His Majesty The King to honour His Majesty’s leadership in advancing human development, and the wellbeing and happiness of the people of Bhutan. 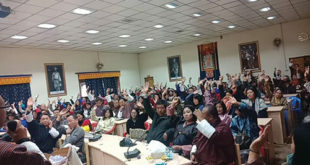 The UNDP announced that the Award takes into account three major Human Development Achievements: His Majesty’s championing of the holistic development paradigm of Gross National Happiness, His Majesty’s leadership in environment conservation and climate action which has resulted in Bhutan being the only carbon negative country in the world, and His Majesty’s guidance, which ensured a smooth transition of the system of governance and strong democratic foundations to be established in Bhutan. This has been evident from the significant and tangible development results reflected in the National Human Development Report of 10 years of Democracy. Mr. Achim Steiner, the Administrator of UNDP and United Nations Under-Secretary General, presented the Award to His Majesty The King. 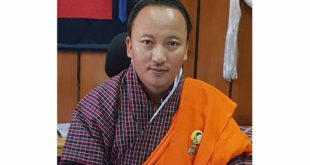 In a statement, Mr. Steiner said: “Bhutan’s progress and stability are a testament to the vision and guidance of His Majesty The King and the Royal Government.